About six feet tall. But I’m told I don’t assert my height. Maybe that’s a polite way of people telling me I slouch. AKA Paul in Canada or Paul from Canada or just plain Paul Wilkinson on other peoples’ blogs. AAKA (also also known as) paulthinkingoutloud. My wife and I have our feet firmly planted in two different churches, one is Christian and Missionary Alliance, and the other is Evangelical Missionary Church. When not writing blogs (3 of them) or advising worship leaders, I spend time hanging out in the local Christian bookstore, where sometimes I offer to help people find things. About 30 years ago I went to a Christian summer camp and decided to marry the cook; so I’m happily married — sorry, ladies — and we have two boys, one in his final year at a Christian college, one graduated in Electrical Engineering and looking for work. My whole life has involved various ministry components, only once or twice have I ever had anything resembling a regular paycheck; and even those jobs were somewhat part-time. 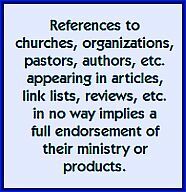 I’ve worked for Christian camps, a Christian school, two Christian publishers, a Christian arts organization, two Christian magazines, a local church, a Christian record distributor; and we’ve owned up to three Christian bookstores, though currently we only own one. 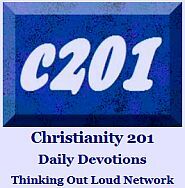 Our blog ‘network’ also includes the daily devotional, Christianity 201. I also host a blog for Christian bookstore owners, Christian Book Shop Talk. I attempted a book once that I thought was different and helpful and so did some major publishing people, but not enough to put their name on it and print it. In hindsight, it would be in the remainder bins by now. Somebody made up the term “blogosphere,” patterned after “atmosphere.” I like it better without the middle “o,” but I’m in a very small minority. I’ve began reading other peoples’ blogs differently after starting one of my own, and I thought it was important for the record to state a few things that I think makes this one different. 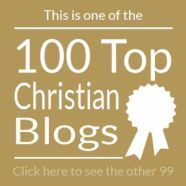 I think if you’re going to research and then read the top 200 Christian blogs, you’re going to see a disproportionate representation from a single doctrinal stream and/or worldview; so this one tries to give equal time to other views and ideas while still remaining somewhat Evangelical. I use the internet, but I don’t write about it or its various manifestations. I borrow my wife’s Facebook account to keep in touch with friends and family and update a business page. I finally joined Twitter, but don’t have a huge following because I make people complete a 5-page application form. Have a cell phone but don’t text. This blog is just not into gadgets, I guess. Though it’s been many years, I still have empathy for people on dial-up internet. So I never embedded video here to the point where some people thought I didn’t know how. Finally in April 2011, with people in rural areas increasingly getting access to high-speed — in some cases better than our own — I caved on this one. But I trust you’ll hold me accountable not to get ‘lazy’ with videos. If you’re still not on high-speed, enjoy the pre-2011 archives. To borrow the phrase from my original USA Today blog, “Matters of Faith, Because Faith Matters;” this is all about living as a Christ-follower, writing about it, and celebrating other writing by other people. …But as the current tagline — Marching to a Different Beat — implies, this blog charts its own course. So really, I don’t fit the pattern of people who have these things, which is why I think Thinking Out Loud is needed. After receiving repeated comments about various articles that have appeared in other places, including a bi-weekly newsletter, I reluctantly decided to create an entirely new blog for the purpose of posting some previously written pieces, some of which are original and some which were reprints. However, as I got more into this, I discovered my shortcut to blogging couldn’t eclipse the desire to start writing something original every day. Then, as I got further into it, I discovered the world of material others were writing and started the process of drifting away from blogging and moving towards being more of a webzine linking people to other good writing. Eventually, I settled on doing a bit of both. This site is different from most I’ve been to; but I thank those of you who have already made it a regular stop. If you’re new, flip through some other stuff from recent months. These articles reflect my personal perspectives on Christian living from the rather distorted perspective of someone who works (without salary) full time in vocational (but often times nondescript) Christian ministry. The boring stuff: middle-aged, married, two kids in their early 20s, live in small town Ontario, Canada, but only walk into a Tim Hortons about twice a year. Say “eh” in person, but usually change it to “huh” on the blog for my 74% U.S. readership. Converted to U.S. spelling after seeing those same stats.